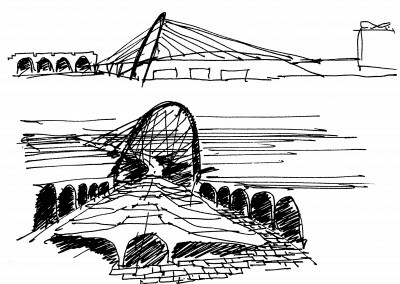 HDA TEAM : Carla Zaccheddu (Project Leader), Alberto Rubin Pedrazzo, Frédéric Bindji, Pier Luigi Bucci, Pietro Demontis, Romain Stieltjes, Cathy Shortle. 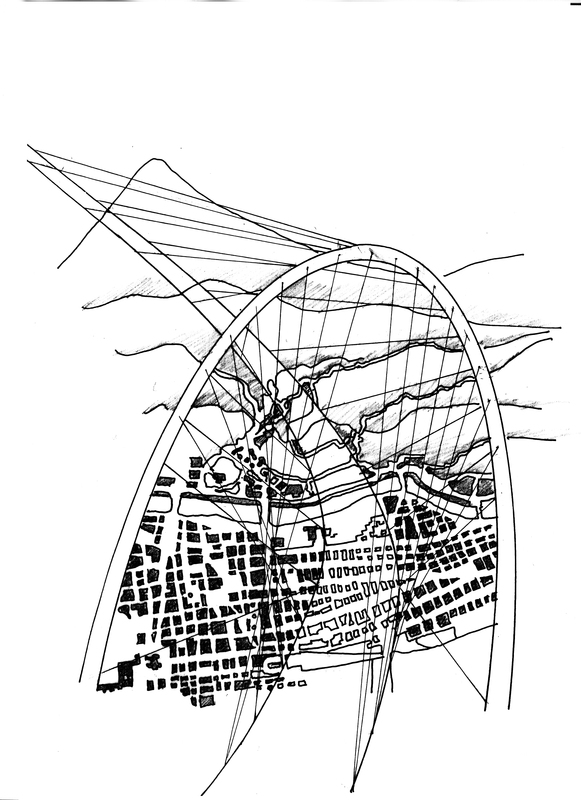 « Every great event can be summed up by an emblem , a powerful symbol that serves as its identity. 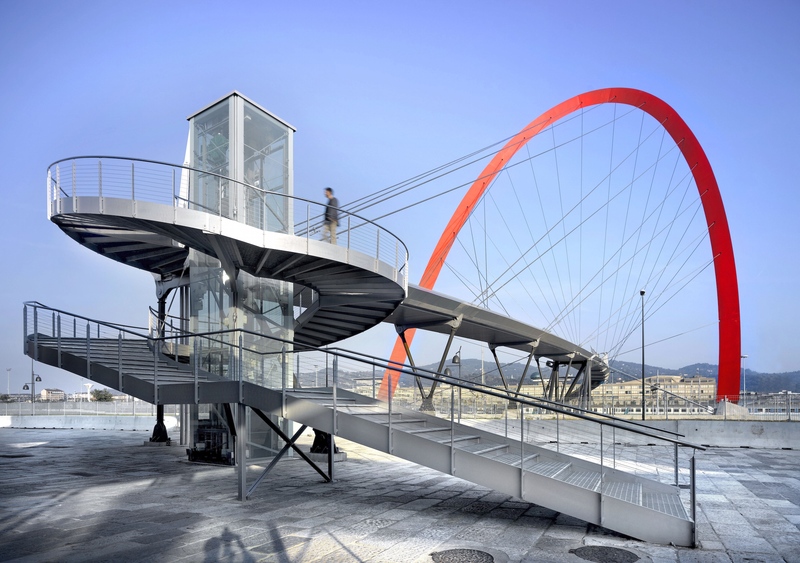 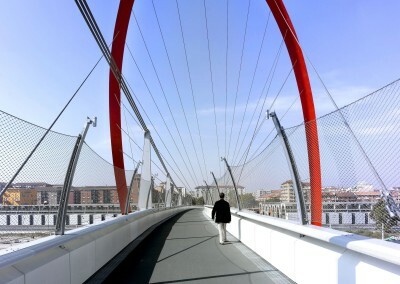 Performing this function for Turin and the 2006 Winter Olympics is the imposing, futuristic red arch of the pedestrian bridge connecting Lingotto to the former General Market. 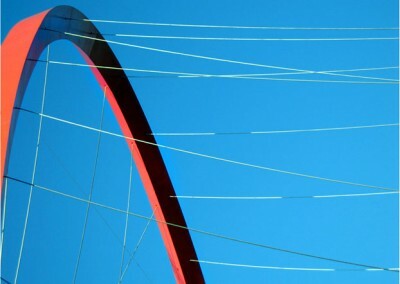 It is a symbol that, along with many others, changes the city skyline, but that also stands as proof of the larger process of renewal this city has embarked upon. 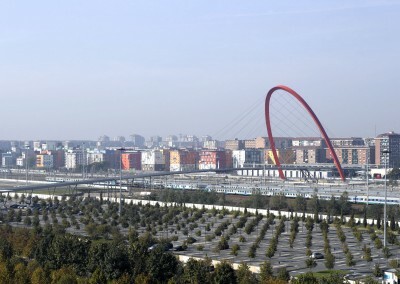 » Sergio Champarino, Mayor of Turin. 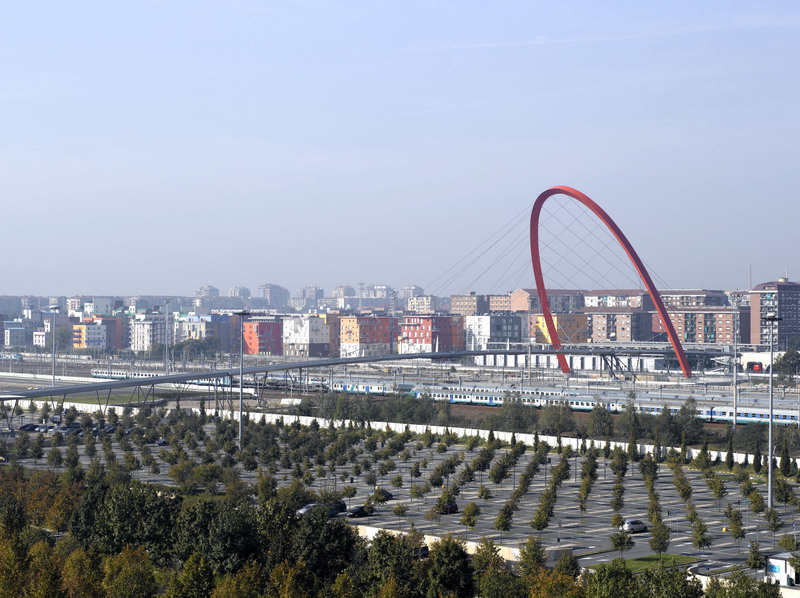 The competition to design the Olympic Village for the 2006 winter games in Turin was won by the Camerana team. 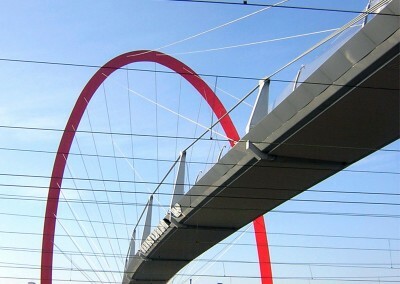 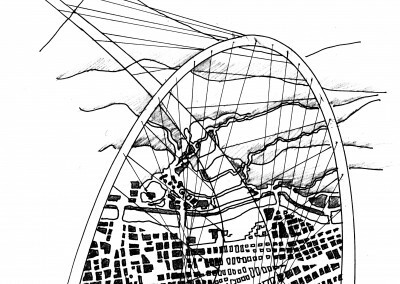 The parabolic arch footbridge, designed by HDA, made a key contribution to the team’s success. 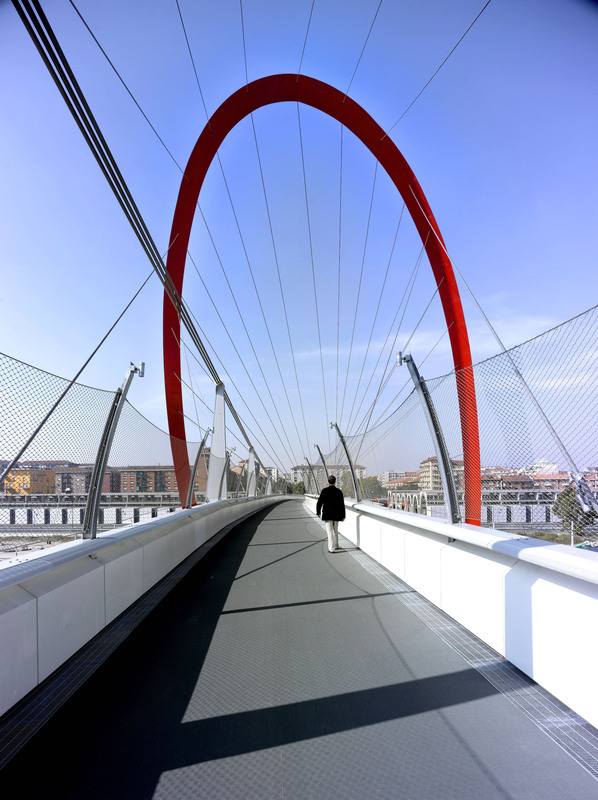 Our inspiration for this characteristic red arch, now baptised the Arco Olympico, was found in the concrete arches of the existing Mercati halls of Turin. 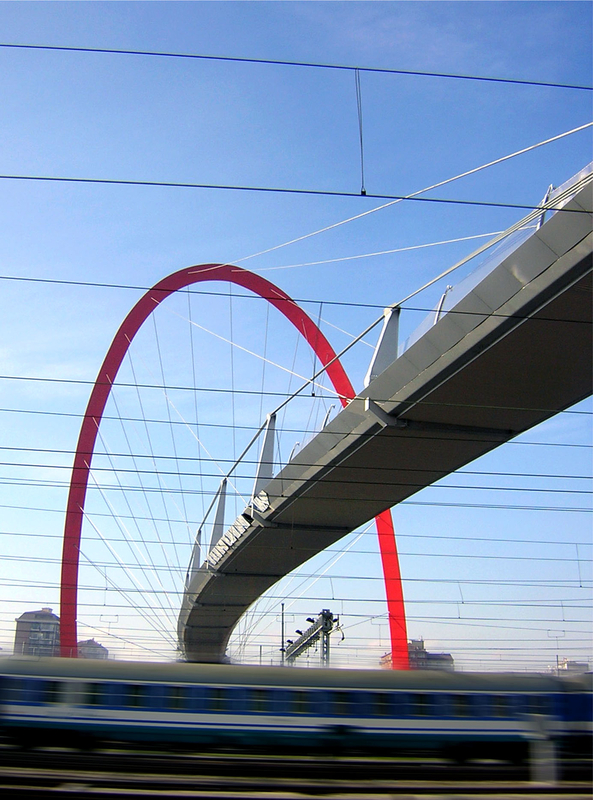 The arch, which is 70m high and weighs 600T, leans over the railway tracks and suspends the 150m-long deck from a series of radial cables. 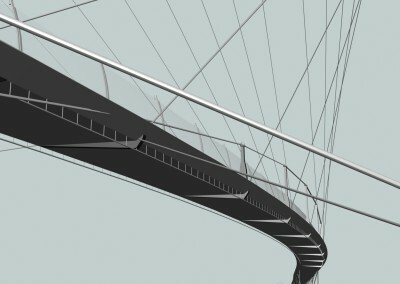 The deck is 4m wide, incorporates dampers to mitigate vibration for pedestrian comfort, and is equipped with protective meshes and lighting. 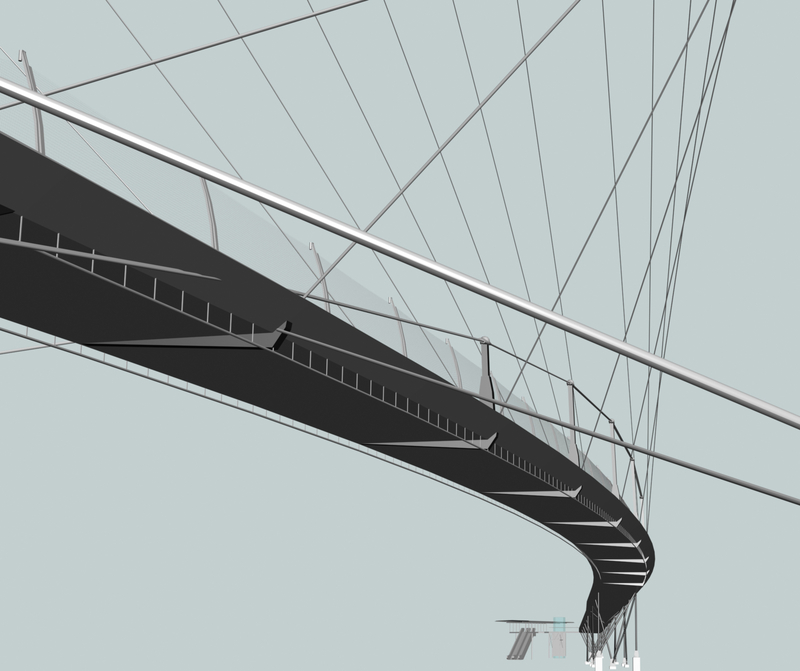 Engineering work carried out by HDA included wind tunnel analysis and full dynamic simulation studies. 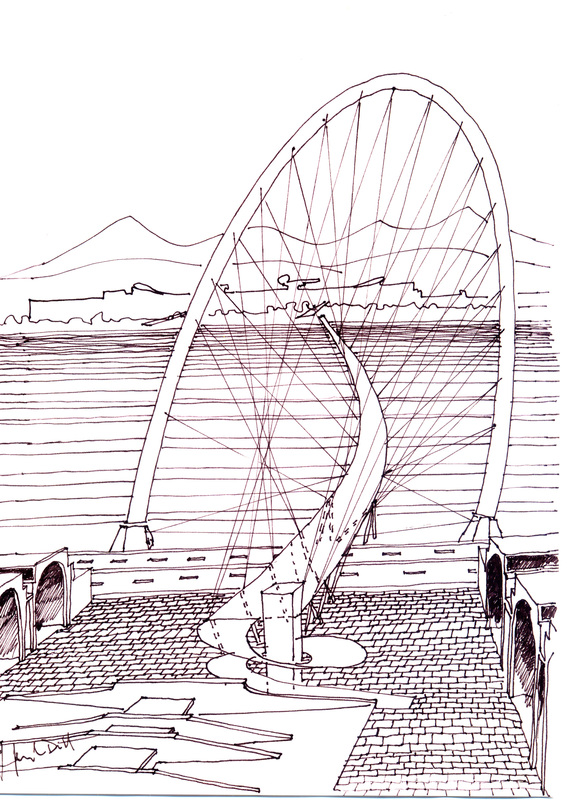 The leaning arch, the curved deck and the virtualspaces formed by the cables, radiating as spokes between deck and arch, all serve to create drama and excitement in the crossing. 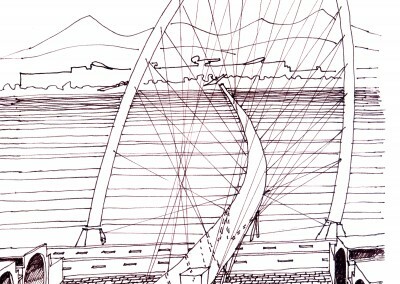 A symbiosis of engineering and architecture, the composition’s logic is in its structural expression. The active expression of force transition through the deck, cables and arch to the foundations gives an athletic dynamism to the structure, in a fitting homage to the Olympic games.